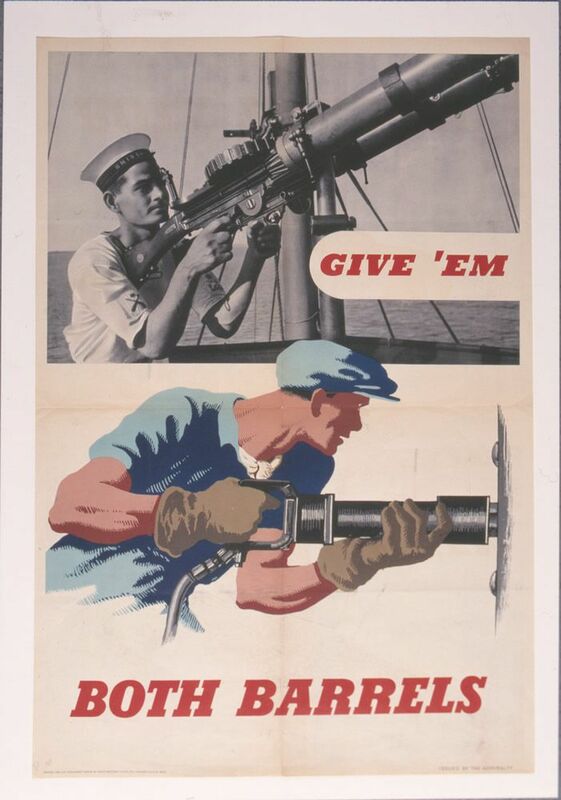 Poster issued by the Admiralty during the Second World War featuring a naval rating aiming a deck-mounted machine gun, and colour drawing of a Dockyard worker in similar pose rivetting a ship. This Give 'Em Both Barrels Art Print is created using state of the art, industry leading Digital printers. The result - a stunning reproduction at an affordable price.